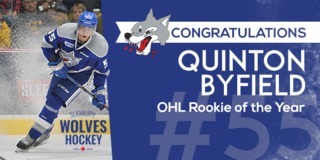 The Sudbury Wolves opened Round 2 at TD Place Arena Friday night with an 8-5 loss to the Ottawa 67’s as the 67’s outshot the by 44-28. 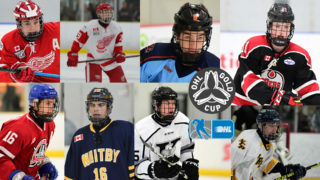 Wolves goal scorers included David Levin, Blake Murray, Cole Candella, Adam Ruzicka, and Owen Gilhula. 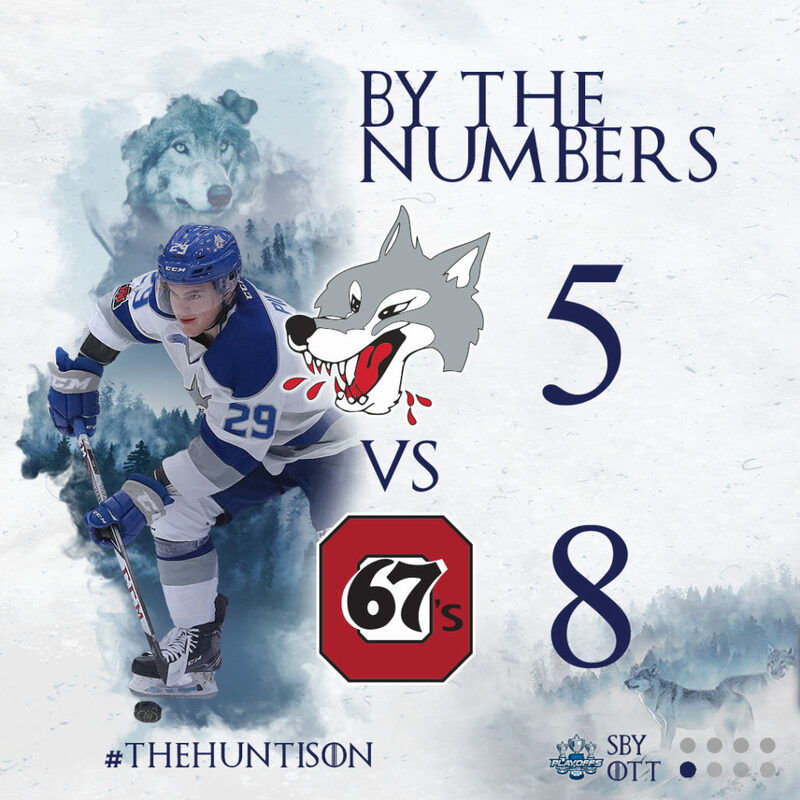 The 67’s received hat-tricks from Tye Felhaber and Lucas Chiodo, while Kevin Bahl and Sam Bitten each picked up a goal on the night. The first period was evenly matched as both teams attempted to get a feel for the series. Lucas Chiodo got the home crowd into the game with the 67’s first goal halfway through the period. The goal came right after Luukkonen denied Chiodo a few minutes earlier. The Wolves got a goal back with under 3 minutes remaining. Bulitka fed a cross-crease pass to Levin who cashed in on the powerplay. The score was 1-1 after 20 minutes with the 67’s holding a 10-8 shot advantage. The second period belonged to the Ottawa 67’s. Kevin Bahl got the scoring started early with a goal 49 seconds into the period. Tye Felhaber notched the first two of his hat trick at 11:02 and 16:05 into the second period. Sam Bitten followed it up less than a minute later scoring the 67’s 5th goal of the game and 4th of the period. Late in the second, Jonathan Lemaire replaced Luukkonen in net. The Wolves trailed 5-1 after the 2nd period and Ottawa held a 26-14 shot advantage. Things escalated in the third as both teams combined for 7 goals. Blake Murray got the party started 31 seconds in the period, scoring his 4th of the playoffs off a nice feed from Quinton Byfield. Five minutes later, Cole Candella capitalized on a rebound and cut the 67’s lead to two goals. 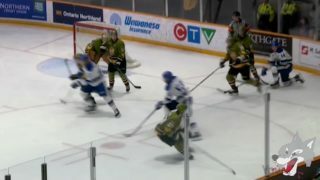 However, 14 seconds later, Lucas Chiodo restored the 67’s three goal lead converting on a pass from Mitchell Hoelscher. Chiodo ccompletd the hat trick 9:15 into the period. 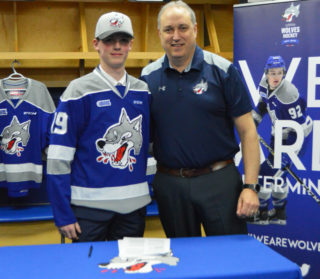 Adam Ruzicka and Gilhula each scored for the Wolves before the period ended, picking up their first goals of the post-season. The Wolves dropped Game 1 by a final score of 8-5. Sudbury returns to TD Place Arena for Game 2 on Sunday. Puck drop is a 2:00pm. 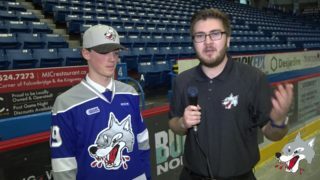 The Wolves return to the Sudbury Arena to face of against the 67’s in game 3 and 4 this Tuesday and Thursday. 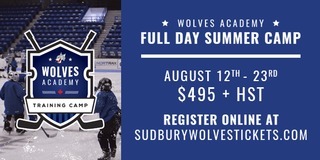 Fans can purchase tickets at greatersudbury.ca/tickets or sudburywolves.com and in person at the Sudbury Arena Box Office.